If we are going to use Bring Your Own Technology (BYOT) in our schools, why not start with our youngest students? Kindergarteners are digital natives in the truest form because technology has surrounded them since the day they were born. Why should their school experience be any different? If students bring and use their own devices during their first year of school, they will then be the truest form of a digital native – never knowing that there was any other way of learning. Luckily, I am the Instructional Technology Specialist (ITS) at a school where most of our teachers and parents agree and are willing to allow students to bring their devices to school to use as instructional tools. 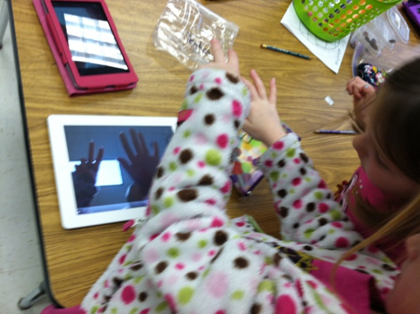 A couple of my Kindergarten teachers began implementing BYOT in January. They felt that they needed the first half of the year to build communities in their classrooms to facilitate this type of learning. They wanted to ensure that their students would be respectful and responsible of each other and their devices. The teachers sent home our BYOT policy that outlines the responsibilities of the students, parents and teachers when bringing a device to school and must be signed by all three individuals. They also sent a letter that included a list of suggested apps that students might want to download and the teacher’s policies regarding management of devices in their classrooms. The teachers have an individual large Ziploc bag with each student’s name on it. The bag contains the signed BYOT form and device until it is time to use them. While not in use, all of the bags are locked in a closet to ensure that no devices are lost or broken. So far, this management system has worked well for both of them. So….now that you have the devices in the building, what do you do with five year olds bringing in different devices loaded with a variety of apps? After collaborating with the teachers, we realized that the best way for Kindergarteners to get the most out of BYOT, is to use their tools to show what they know. The teacher should simply ask the class a question and encourage the students to figure out how they could demonstrate knowledge of that standard. There is no right or wrong way to answer as long as their response shows mastery of the standard in question. 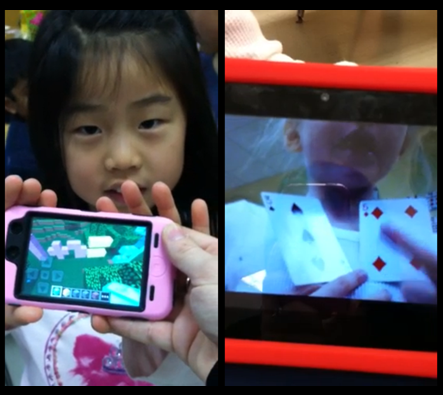 By having students choose what way they want to answer the question, they become more familiar with how to use their devices as a tools instead of something to just play games on. That is the purpose of BYOT; isn’t it? During our first implementation of BYOT, Ashley Loftus, one of our Kindergarten BYOT teachers had all but three of her twenty-two students bring in a device of some sort, and the others had the option of participating in the lesson on a school-owned desktop, laptop or to collaborate with another student. She asked her students to use their devices to show how many days are in a week. Some students found a number app they had loaded and found the number seven. Other students typed or drew “seven” or “7” on numerous apps; others recorded their voices or made a video or took pictures….all showing that the answer was seven. No two responses looked the same, but they were all correct and allowed Mrs. Loftus to assess her students’ knowledge of this content. Ashley quickly found that she could use BYOT as an alternative to pencil and paper as a formative assessment while offering opportunities for the children to explore their inner creativity based on their own abilities. Here are two students’ responses when asked to demonstrate an addition problem. One used Minecraft to show her equation while another made a video of herself explaining how to solve her problem. How many syllables does your name have? What was the setting in _____ story? In your opinion, do you like winter or summer? Show me one way to make 8. What kind of punctuation mark would I use for this sentence… “I love school”? Show me a 2d shape. Show me a 3d shape. How many vertices does a rectangle have? I am going to break down a word and I want you to blend it. Show me something heavier than a crayon. Show me something longer than your pencil pouch. Show me something on your device that you can use to help you learn. What a great way for a digital native to demonstrate the knowledge they are learning in school! Sure, they could do these exact activities using pencil and paper, but by using their device, they are engaged and empowered. The possibilities are endless, and our Kindergarteners are learning to be creative, critical thinkers while collaborating and communicating with one another – all essential skills of the digital age. This entry was posted on February 15, 2013, 4:36 pm and is filed under BYOT Strategies. You can follow any responses to this entry through RSS 2.0. You can leave a response, or trackback from your own site. Great post! I would love to see a copy of the BYOT policy if you don’t mind sharing. Thanks for this post. 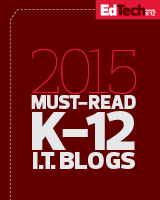 I enjoyed reading it and loved the way the devices were incorporated in the classroom. I bring unused smartphones from those who donated to our classroom and load apps. I like your method because the are used more often, plus different styles of students reflect the apps they used. This is a great way to incorporate technology, while also catering to different learning styles. Thanks for sharing! I teach kindergarten and am going to try to go totally paper free for a month. Do you know of any apps that I could use to annotate over a PDF? You could use Evernote with Skitch.